When some people work for themselves as well as for the society despite all the hardships, we feel like saluting them. Lina Abado, the founder of Les Cinq Amandes or The 5 Almonds, a manufacturer of world-class confections, is such a person. 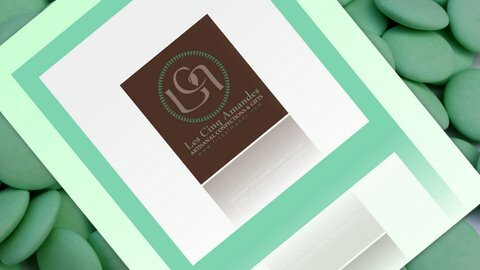 Les Cinq Amandes is a company founded by Lina Abado in 2007 along with her daughter – a high school student – with a mission of updating five traditional bridal wishes – longevity, love, peace, health and happiness. She got a very noble accompaniment of a very dedicated and beautiful lady – Kristen Haglund – the former Miss America 2008, activist and philanthropist working for girls and women in need – the same mission to which Lina Abado is dedicated. Lina Abado, herself a pediatrician had to give up her career to struggle with a disease. Les Cinq Amandes and Kristen Haglund make a perfect match because of their work centered on women and girls to create in them awareness about inner beauty, self-care and balance. Kristen Haglund started a foundation in 2009 to raise funds for treatment scholarships to help people and their families to combat with eating disorders. Over 25 scholarships have been granted till date. Les Cinq Amandes or The 5 Almonds has a long and proud history associated with weddings and festivities. Ancient Romans used to serve Sicilian almonds with honey on weddings till the invention of sugar in the 15th century. Florence, Italy, was a main production center for these goodies during the Italian Renaissance period. Dragees which we know today were first introduced to the Royal European courts as a special confection for special events by the influential Florentine Medici Family. Almond signifies the love between the wedding couple with its sweetness of love to overcome the bitterness of life. This significance has spread across many parts of the world almost unchanged till today. The mission of Les Cinq Amandes is to reinvent and reintroduce the century-old custom and traditional confectionery to the modern world and offer a gift of dreams – elegant, outstanding and beautifully crafted – fantastic people, unforgettable moments, telling tales and creating dreamy emotions during life’s most magical period. The sweet creations of Les Cinq Amandes are recipes carried over from generations to generations. They are created by magical skill from fruits, flowers, herbs, spices, chocolates and nuts. They offer innovative flavors and colors. 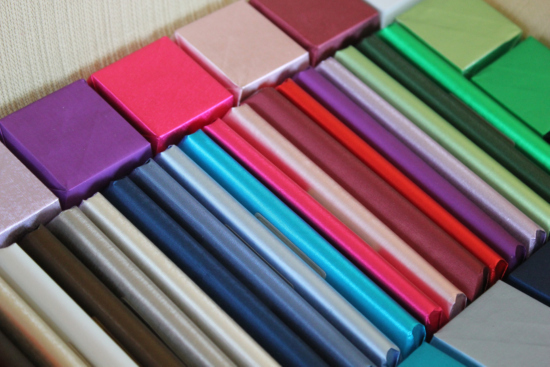 There are mind-blowing varieties from decorated and hand-wrapped chocolates to hand-painted, handmade jewel-like couture chocolates. Les Cinq Amandes offers unique couture creations in form of modern and superbly designed favors and gifts. Les Cinq Amandes is also a renowned source of themed events and creates a wide range of festive items like exceptional wedding gifts, candy centerpieces, favors and candy bars. 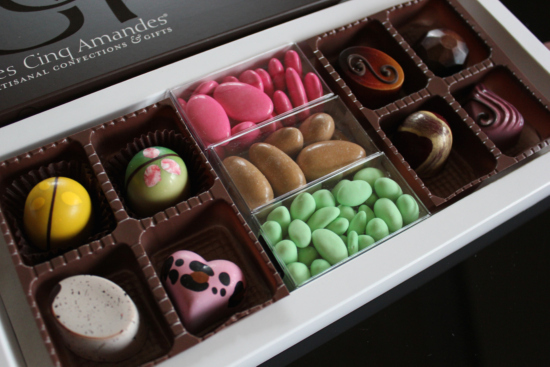 The company is also famous for its artisanal chocolates that are available in a variety of shapes, along with a slew of favors. Visit http://the5almonds.com/ today to learn more about the sweet venture of Les Cinq Amandes and to take an amazing tour through their assortment of gift ideas. You can contact them and place orders too. You can also visit their on Facebook page.